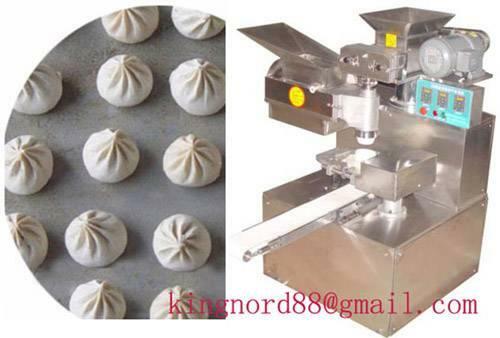 This auto encrusting machine suit all kinds of round shape stuffing dim sum,like Chinese steam Bun, it can be stuffed with various fillings as sweet bean paste, vegetable mixture,all kinds minced meat,sea food…and the proportion of filling and wrapper is adjustable,small type bun is famous as Chinese xiao long bao,the max. unit can reach 110g in weight,mini one is only 25g;each machine is matched with two sets forming mouls,one is flat and other one with 9 folding wrapper flower. finished dim sum can be steamed, boiled or cooled in refrigerator.